This is a reprint of my “Pastor’s Report” for 2014. “It ain’t what it used to be!” I’m speaking of Evangelism! The Evangelism of old was done door to door, person to person, through printed pamphlets and materials. No more! With the proliferation of hand held electronic devices, the impact of hard copy materials and the frequency of personal contacts, has diminished. The most effective tool the church now has for evangelism is these electronic devices. The internet has put the world at our fingertips! Whether you like it or not, the world of information and socialization rotates around the axis of the internet. If we are to influence that world and the communities being built by it, we need to get, not in line, but on line, and bring the Gospel with us. The world is constantly building new communities through electronic devices. We want to do the same by using the internet to link the world to a Christian community and an ecumenical LORD! 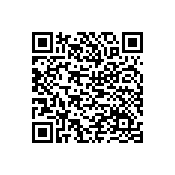 Download St. Mark’s app to your device(s) by scanning the QR codes [below] or by going to Google Play or iTunes, and then share it with all your friends. Use what otherwise might only direct people away from God, to draw people to God! Being an Evangelist is no longer inconveniencing or expensive. You are already equipped and invested in it! Just use what you got for the glory of God! Take the LORD with you wherever you go…this will get you there!